Photo by Michael Kelly Jared Perry of Sixmo Architects and Engineers and his associate Sheree Wilson work on the third floor of the refurbished Ketter Block. Photo by Michael Kelly Sam Tuten of Marietta Main Street works at his desk on the third floor of the Ketter Block, a project conceived and executed by Sixmo Architects and Engineers. Photo by Michael Kelly The Ketter Block at 204 Front St. took about 15 months of restoration and refurbishing to open in July. 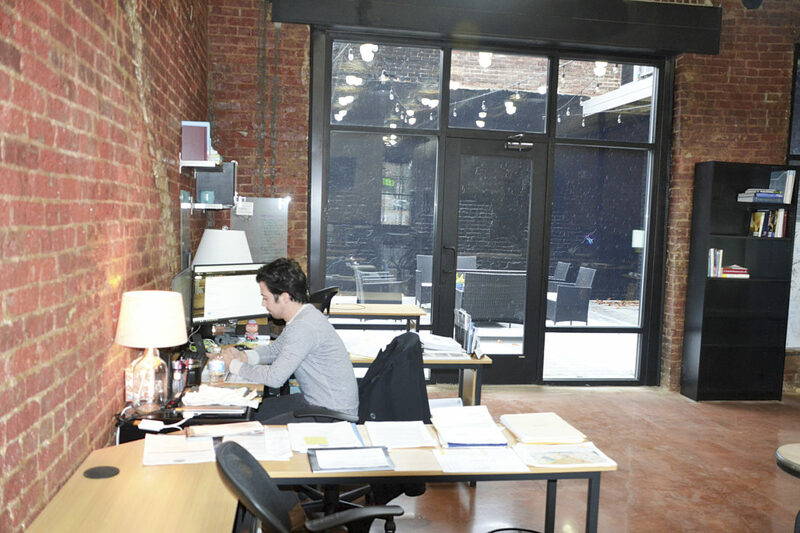 The building offers rent-by-the-month workstations directed primarily at entrepreneurs who are just getting started. 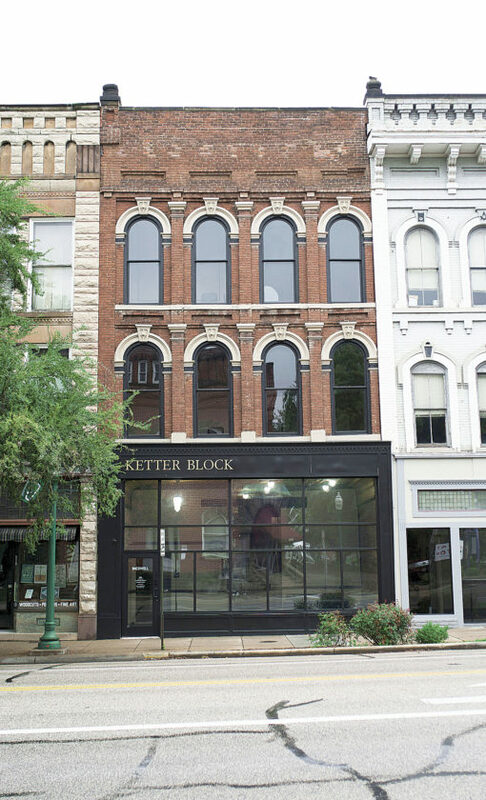 MARIETTA — For Jared Perry, the Ketter Block wasn’t a building to be restored so much as it was an idea to be realized. 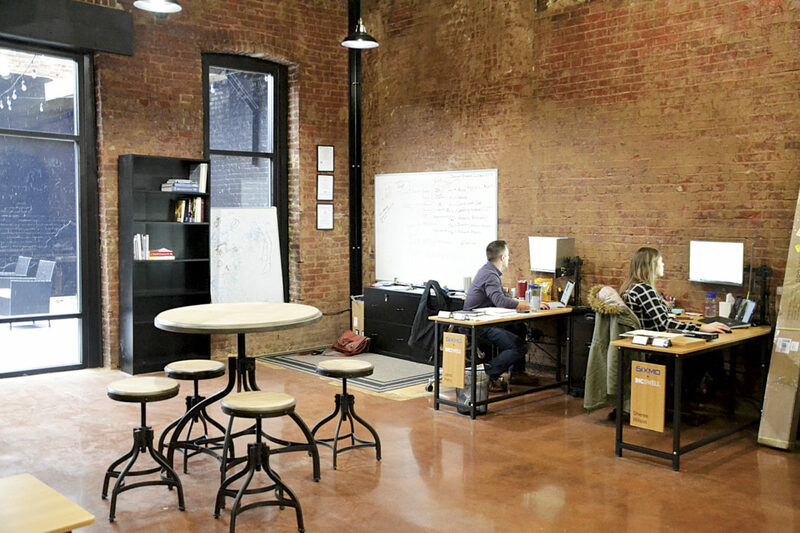 The three-story brick structure at 204 Front St. now offers a temporary home to small start-up entrepreneurs who have a stake in Marietta’s future. Perry, a 33-year-old architect, engineer and native of Marietta, returned to his home city two years ago after establishing with a partner branches of Sixmo Architects and Engineers in Cleveland and Columbus. 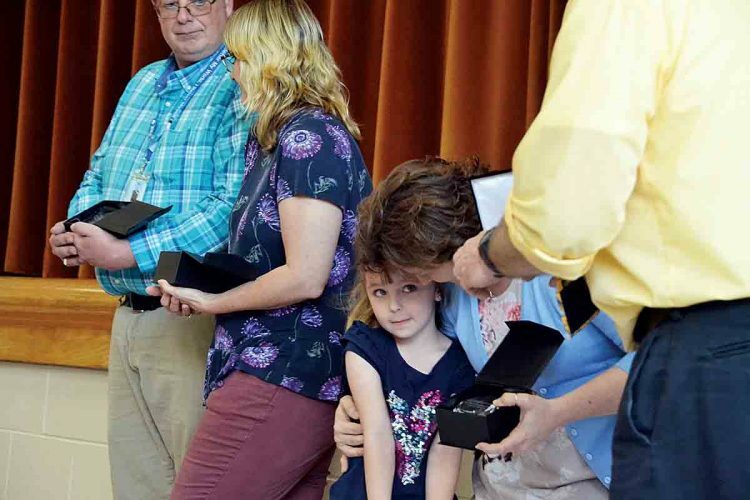 “Like most people who come back to Marietta, I came here to be with family,” he said. When he looked at buildings to open another branch for the firm in his hometown, he concluded buying was the way to go rather than renting because prices were so low. His firm’s real estate division paid $60,000 for the old brick structure, which hadn’t been occupied for a decade or more. 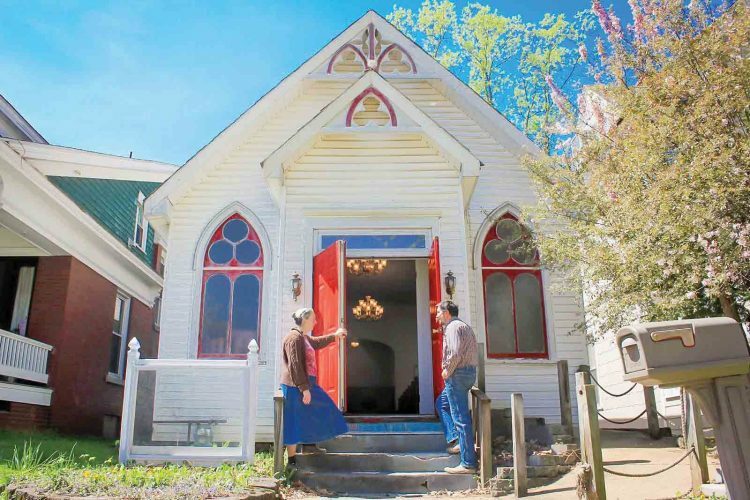 The renovations were designed after he and his team had reviewed the history of the building going back to 1873, maintaining the exterior historic look but gutting the inside. For some developers it would have been daunting, but Sixmo’s architectural and engineering expertise made it a low-risk proposal because most problems could be anticipated. “My advice is, if you’re going to do this, hire a professional. The biggest stumbling block is that people think they know what they’re doing,” he said, sitting in the high-ceilinged, well-lit conference room on the third floor. The interior design is exposed original brick, tall windows, smooth floors and unobtrusive lighting. On the first and third floors, spacious rooms hold a row of desks along each wall, with amenities such as a coffee maker and a printer at one end. You can rent a desk — no cubicles or interior dividing walls, just a desk with internet and wi-fi access and a locking filing cabinet — for $175 a month. This week, Perry and an associate from Sixmo were working, along with Sam Tuten of Marietta Main Street and Andy Kuhn of the Southeastern Ohio Port Authority. Others come and go, and that’s the way Perry intended it to work. He’s made a home for the creative future of his city. The idea is to offer a place for entrepreneurs to get started, where they can do their work and have encounters with others of their kind. The atmosphere encourages casual talk between people who might have nothing in common except the will to succeed and advance their ideas. “It’s like having built-in mentors,” Perry said. The property is managed by Incswell Inc., one of Perry’s ramifying business interests. Incswell’s mission includes examining the economic state and future of Marietta and Washington County through projects like Data Points, which compares economic and demographic data between Washington and comparable counties around the country, stimulating discussion on strengths and weaknesses and where pressure can be applied toward improvement. A series of discussions titled “Amplify” pose questions about how the future of the community can be steered, and in what direction. “It focuses on leadership, marketing and development,” he said. Tuten said working in the Ketter gives him the chance to be around other organizations and people in a casual and unstructured way. “There will be distractions, but mostly the good kind. They can also break up your day in a pleasant way, sharing a laugh, and you get to know a wide variety of people. You have the chance to make some unexpected connections,” he said. For more information on the Ketter Block and on Perry’s mission with the building, see incswell.com.